On March 21 Councilman Todd Lambert opposed a $3 million loan from the parish’s general fund to pay for certain recreation projects, chiefly a $2.5 million gym at Lamar Dixon Expo Center. 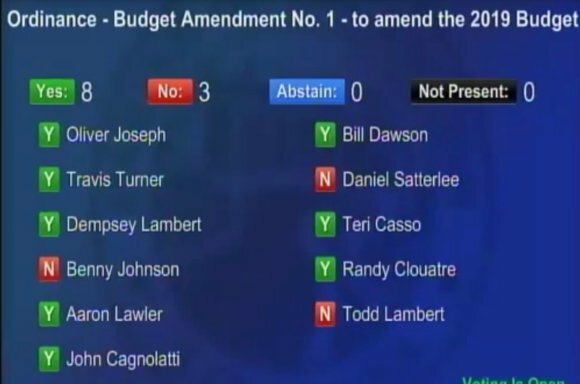 Since “no one can tell me why it’s needed,” Lambert joined two other members on the short end of an 8-3 vote whereby Ascension Parish Government’s 2019 budget was amended to appropriate funding for the gym and a few other items. Councilman Travis Turner, who chairs the Recreation Committee from which the proposal originally emanated, declined to explain the need when invited to do so by Council Chairwoman Teri Casso. Turner deemed further explication unnecessary since it had all been discussed before coming up for the March 21 vote. “I’m understanding from a previous, and this is coming from a reliable source, that this was promised; if the soccer fields get built, you’d get your gym. This was a deal cut back in the day,” Todd Lambert exposed one of this council’s worst kept secrets. Chairwoman Teri Casso was forced to separate her colleagues before any more of the council’s secret machinations were revealed to the public. What else are they hiding? Councilman Aaron Lawler took up the gauntlet, i.e. attempted to answer Todd Lambert’s question. Ranting and rambling for a little over four minutes, careening from tax revenue creation to convenience for families with kids on different basketball teams, caroming to quality of life for 50,000 yet to arrive residents…it is impossible to distill Lawler’s argument into a coherency. NOTE: We’ve posted his four minutes to Pelican Post’s Facebook page. So, why is a new gym needed? Lawler added the facility will be “multi-use..(and available)…for volleyball and in-line hockey, etc.” at that March 25 Recreation meeting. But parks spread all over Ascension Parish could benefit from new lights. Councilman Lambert had made that very argument during the February 12 meeting of the Council Finance Committee. The same 8-3 vote would recommend lending money for the new gym from the general fund. Which adds up to $2.9 million with bathrooms at LDEC soccer fields, omitted by the Finance Department on February 12, intended for inclusion. “I don’t want what happened to Travis and his gym to happen to these bathrooms,” interjected Aaron Lawler, always the quipster. What happened to Travis and his gym? As Todd Lambert said; “there was a deal cut back in the day…” If the soccer fields got built Travis Turner would get his gym. And the soccer fields got built. According to Councilman Oliver Joseph back in October, President Kenny Matassa promised “to work out the details” upon receipt of Recreation’s recommendation. At some point the decision was made (by whom is unclear) to loan the money from the general fund. Turner and Joseph represent two votes which are going to be vital in the coming months. 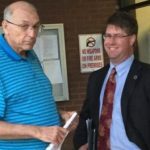 There’s a full-court press to implement sanitary sewer on the east bank, the albatross of Floodplain Management is hanging around some council necks, and Matassa is still seeking reimbursement of his legal fees to fend off felony bribery charges early in his term. That’s how the sausage is made.